As former police officers and prosecutors themselves, the lawyers of Worth, Longworth & London, LLP vigorously defend law enforcement officers facing suspension, termination or other employment sanctions or who are charged with committing a crime. These most seriously involve the use of excessive force or other alleged misconduct, but also include infractions of various rules of the particular department served. Worth, Longworth & London, LLP never lose sight of how devastating these accusations can be on both the professional and personal level. A police officer stands accused of willfully defying the regulations or violating the rights of a member of the public he or she has sworn to protect. Particularly if on suspension, an officer may feel deserted. The lawyers of Worth, Longworth & London, LLP stand firmly on that officer's side. The firm's clients are encouraged to contact their lawyer with a question at any time. And they can count on their law firm's extensive, successful experience defending law enforcement officers against disciplinary actions and even criminal charges. The firm will also immediately file a motion to restore to full duty if placed on modified, or file a waiver of service if suspended. The firm feels a special kinship to New York law enforcement and is committed to taking an aggressive approach to their defense. If possible, Worth, Longworth & London, LLP seeks to set the matter right at the time of the internal investigation or before the administrative hearing. 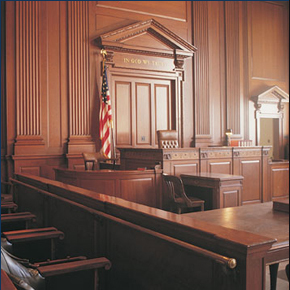 The firm supports the officer with rigorous preparation and aggressive defense throughout the administrative process and all the way to defense before a jury, if necessary, where it presents logical, forceful arguments. Necessary measures vary. Law enforcement officers facing administrative or criminal charges related to the performance of their duty can rely upon the support and experienced legal counsel of Worth, Longworth & London, LLP. Contact Worth, Longworth & London, LLP online or call the Manhattan office at (212) 964-8038 or the Long Island office at (516) 621-0007.